LANCIA MUSA 350 1.6D Timing Belt Kit 08 to 12 Set QH. LANCIA MUSA (350_) 1.6 D Multijet MPV Diesel 07/2008 09/2012 FWD 16 120 88. LANCIA MUSA (350_) 1.6 D Multijet MPV Diesel 07/2008 09/2012 FWD 16 116 85. PART NUMBER: K055500XS. - LANCIA: LYBRA - LYBRA SW - MUSA 350. 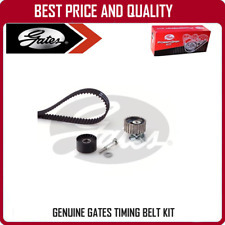 GATES TIMING BELT KIT WITHOUT WATER PUMP. 5500XS, GATES TIMING BELT POWERGRIP. Teeth Quant: 190 Width: 24 mm. LANCIA MUSA (350_) 1.9 D Multijet MPV Diesel 10/2004 09/2012 FWD 8 101 74. Function Timing Belt Set. LANCIA LYBRA (839_) 1.9 JTD (839AXI1A) Saloon Diesel 09/2000 05/2001 FWD 8 110 81. LANCIA LYBRA SW (839_) 1.9 JTD (839BXD1A) Estate Diesel 07/1999 09/2001 FWD 8 105 77. Kit Contains • Complete repair solution. LANCIA MUSA (350_) 1.9 D Multijet MPV Diesel 10/2004 09/2012 FWD 8 101 74. Number of Teeth 190. Function Timing Belt Set. LANCIA LYBRA (839_) 1.9 JTD Saloon Diesel 05/2001 10/2005 FWD 8 116 85. LANCIA LYBRA (839_) 1.9 JTD (839AXD1A) Saloon Diesel 07/1999 09/2000 FWD 8 105 77. Musa, 1.4MPi, 1368cc, OHC, 8V, Petrol, 77bhp 350A1.000 07/2004 - 04/2011. Musa, 1.4MPi, 1368cc, OHC, 8V, Petrol, 70bhp 350A1.000 (GPL). Musa, 1.4MPi, 1368cc, OHC, 8V, Petrol, 77bhp 350A1.000 (GPL). Timing Belt & Tensioner Kit. PART NUMBER: K015646XS. - 5646XS, GATES TIMING BELT POWERGRIP. 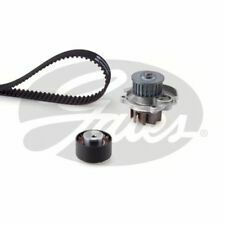 - T43211, GATES TENSIONER PULLEY, Timing Belt PowerGrip. - T42140, GATES DEFLECTION/GUIDE PULLEY, Timing Belt PowerGrip. 5646XS, GATES TIMING BELT POWERGRIP. LANCIA MUSA 350 1.3D Drive Belt Kit 04 to 12 Set Gates. LANCIA MUSA (350_) 1.3 D Multijet MPV Diesel 10/2004 09/2012 FWD 16 70 51. LANCIA MUSA (350_) 1.3 D Multijet MPV Diesel 03/2009 09/2012 FWD 16 95 70. Timing Belt Kit 530062210 INA. Part Number 530062210. FIAT 71736726. Number of Teeth 190. Function Timing Belt Set. Service Information : INA_0058_en. FIAT DOBLO Cargo (223_) 1.9 JTD Box Body / Estate Diesel 07/2003 on FWD 8 105 77. 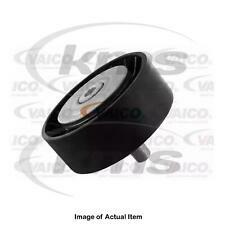 LANCIA MUSA 350 1.4 Drive Belt Kit 04 to 12 Set Gates. LANCIA MUSA (350_) 1.4 LPG MPV Petrol/Petroleum Gas (LPG) 11/2010 09/2012 FWD 8 78 57. LANCIA MUSA (350_) 1.4 MPV Petrol 09/2005 09/2012 FWD 8 78 57. Lybra (839), 1.9JTD, 1910cc, Diesel, 115bhp. Lybra (839), 1.9JTD, 1910cc, Diesel, 100bhp. Lybra (839), 1.9JTD, 1910cc, Diesel, 110bhp. Musa, 1.9JTD, 1910cc, Diesel, 100bhp. Timing Belt & Tensioner Kit. ALFA, LANCIA, SAAB, VAUXHALL & OPEL. TIMING BELT KIT FITS SAAB 9-3. CAM / TIMING BELT KIT. KIT COURROIE ARBRE A CAMMS DISTRIBTEIE RIEM KIT BELT 199 x 20. 1 AVAILABLE. FIAT 71754561. Engine Code: 350A1.000. LANCIA MUSA (350_) 1.4 MPV Petrol 09/2005 09/2012 FWD 8 78 57. LANCIA MUSA (350_) 1.4 LPG MPV Petrol/Petroleum Gas (LPG) 11/2010 09/2012 FWD 8 78 57. Number of Teeth 129. 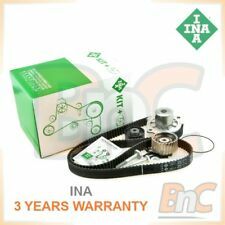 LANCIA MUSA 350 1.4 Timing Belt Kit 04 to 12 Set INA. LANCIA MUSA (350_) 1.4 MPV Petrol 10/2004 09/2012 FWD 16 95 70. LANCIA MUSA (350_) 1.4 MPV Petrol 10/2007 09/2012 FWD 16 90 66. Number of Teeth 124. 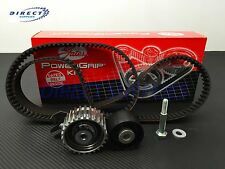 LANCIA MUSA 350 1.6D Timing Belt Kit 08 to 12 Set Gates. LANCIA MUSA (350_) 1.6 D Multijet MPV Diesel 07/2008 09/2012 FWD 16 120 88. LANCIA MUSA (350_) 1.6 D Multijet MPV Diesel 07/2008 09/2012 FWD 16 116 85. LANCIA 71775920. LANCIA MUSA (350_) 1.6 D Multijet MPV Diesel 07/2008 09/2012 FWD 16 120 88. LANCIA MUSA (350_) 1.6 D Multijet MPV Diesel 07/2008 09/2012 FWD 16 116 85. 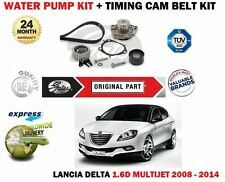 Function Water Pump & Timing Belt Set. # GENUINE INA, KRAFT AUTOMOTIVE - TIMING BELT KIT & WATER PUMP SET. In 1952, an INA needle roller bearing replaced the previously used plain bearings in the transmission of the VW Beetle. INA rolling bearings, engine components, and linear technology are characterized by a high level of quality and reliability. CONTITECH V56015. LANCIA MUSA (350) 1.4 MPV Petrol 09/2005 on FWD 8 78 57. LANCIA MUSA (350) 1.4 LPG MPV Petrol/Petroleum Gas (LPG) 11/2010 on FWD 8 78 57. Number of Teeth 129. 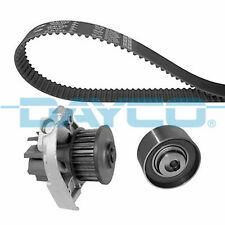 Function Timing Belt Kit. LANCIA MUSA (350_) 1.4 MPV Petrol 09/2005 09/2012 FWD 8 78 57. LANCIA MUSA (350_) 1.4 LPG MPV Petrol/Petroleum Gas (LPG) 11/2010 09/2012 FWD 8 78 57. Function Water Pump & Timing Belt Set. Technical Drawing. FIAT 71754561, 71775900. LANCIA 71754561, 71775900. LANCIA MUSA (350_) 1.4 MPV Petrol 09/2005 09/2012 FWD 8 78 57. LANCIA MUSA (350_) 1.4 LPG MPV Petrol/Petroleum Gas (LPG) 11/2010 09/2012 FWD 8 78 57. FIAT 71771599 71776007. 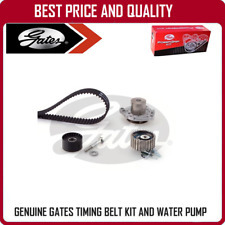 Timing Belt & Water Pump Kit KP15627XS Gates. Part Number KP15627XS. Function Water Pump & Timing Belt Set. Technical Drawing. Gates 28664, KTBWP4662, 530046230, 45176, VKMC022062, 45100, VKMC02206. FIAT MAREA (185_) 1.9 JTD 110 186A6.000. FIAT MAREA (185_) 1.9 JTD 105 182B4.000. FIAT MAREA Weekend (185_) 1.9 JTD 110 186A6.000. FIAT MAREA Weekend (185_) 1.9 JTD 105 182B4.000. FIAT MAREA Weekend (185_) 1.9 TD 100 182B9.000. PART NUMBER: K015503XS. ABARTH - FIAT - LANCIA - JEEP - CHRYSLER -. - 5503XS, GATES TIMING BELT POWERGRIP.